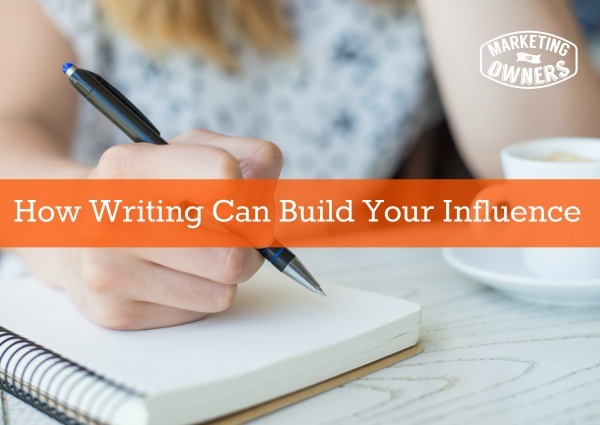 When I talk about building your influence with writing, what I mean is it can build your authority or expert status amongst your peers and customers as well as your potential customers. Yesterday I encouraged you to start writing. Okay — I might have tricked you into admitting that you are able to write, sharing with you how easy it is to create your own website on WordPress, and how easy it is to get started. I even mentioned Elance last week and how to get someone to ghostwrite for you, but writing is not just about putting information out there. It’s also about convincing people that you are an expert. Now that’s not difficult, because you are an expert. I know you’re thinking, “Oh no I’m not an expert.”, but let me just reassure you — YES you are. You could be a painter, decorator, or even a baker. Let’s use the baker for example, and say that you can bake. Guess what? That makes you a baker! People are going to come along and they are going to buy your muffins. You don’t lean over and say, “By the way I’m not an expert at baking. Taste these and see what you think.” You know how to make muffins. You are an expert muffin maker. You are trustworthy when it comes to baking. You go on your own and tell them what they need, tell them how much it’s going to cost to do it and they have pleasure in giving you money afterwards and saying thank you. You are an expert. You don’t have to be a painter or a decorator with a degree and everything, like the Queen uses for Buckingham Palace. You are an expert at what you do. People need what you offer, and that’s why you have customers. So people want to hear from experts just like you; they want to hear from people like you who know what they do. Now, let’s talk about how can writing help. Writing on your own website or blog, explaining how stuff is done, why it’s done, etc is how this whole idea of you being an expert came about. People want to know how stuff is done. They are not going see your explanation of how it’s done and then copy it and do it. It just tells them that you know what you’re doing. They want to know how it’s done and then they want someone to do it for them. They haven’t got time so they are looking for someone like YOU to do it, who knows what they are doing. So, writing can show them that you are an expert in what they need. Another way to show you are an expert is to get your writing into trade journals like CNN’s online magazine or Huffington Post and Yahoo Shine. You’ve got some massive circulation online magazines and you’ve got offline magazines. Have you ever read a trade journal and looked at the writing style and bio of it all? These people are considered “best posters”. Quite often, to get their work submitted, they simply just ask if that journal would like an article on a certain topic. They’ve probably written a synopsis to send in with their request. They’ve written the entire article in a style for that particular journal. They’ve studied it. They’ve looked at their writing guidelines. They’ve put it in. When you get published people think WOW! The reason people do that is so the people think amazing things about you and realize even more your potential as an expert in that field. It’s a great way to get free views, free traffic and more eyes on your business. In that article that you submit to those trade journals, you make sure to include a link to your website or to your offer page where you make sure to give them a copy of your free report that you have created. This is the bit where you ask permission to market to them. They are probably by good chance going to become a customer. That is when they opt in, and at that moment, when you capture that lead. That’s when you’ve made the most of it. This is how it works. Do that often. Do that once every month, once every 2 months, once every 3 months, it doesn’t matter. Over time you will get recognized. You will get authority. People will ask you for articles because they’ve seen you elsewhere. You can have somebody ghostwrite them. You can write a summary. You can dictate it into your Iphone, give it to a ghostwriter. They will write it out and put it out into a proper article for you to submit to places. Do not be scared. Do not think you have to be a professional journalist. People will do this. If you got asked to write for Huffington Post then you won’t mind paying someone a couple hundred dollars to do it, but you shouldn’t have to. Just think about it, have a look at these online journals, who writes them, and then remind yourself that they are just like you! 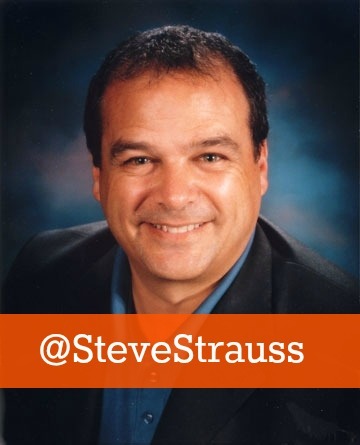 Today our friendly follow is Steve Strauss. Steve Strauss is an American expert. He writes at USA Today and has a book called Small Business Bible. I think he’s got a new one coming out soon. I’m not sure if it’s launched quite yet but it’s coming so follow him and you will find out and probably get an offer from him. He has a website called The Self Employed. If you run a small business like me, though this is for the USA, he’s got information on tax, outsourcing, resources, insurance, everything. It is a fabulous wealth pf information. It has been around for a longtime. He is a very highly respected journalist. He has a great twitter stream with a ton of useful information. Follow Steve, see what he does, learn something new, and then do it on yours. That’s how it works. By the way — I haven’t asked you in a while, go to iTunes, look up the Marketing for Owners podcast, and if you’re not already a subscriber, subscribe and then please leave a rating and tell me what you think. I’d love to know. Where could you write an article to show your expertise?